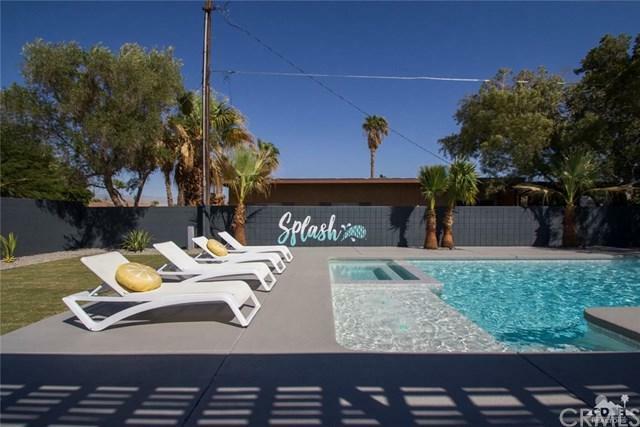 Vintage PS MOD designed pool house. Private block-walled and gated outdoor poolside oasis with expansive covered patio. 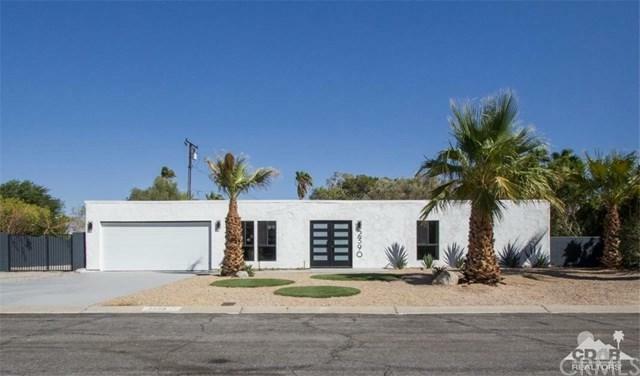 Enter through new glass-slatted double doors into a newly rehabbed Palm Springs getaway. 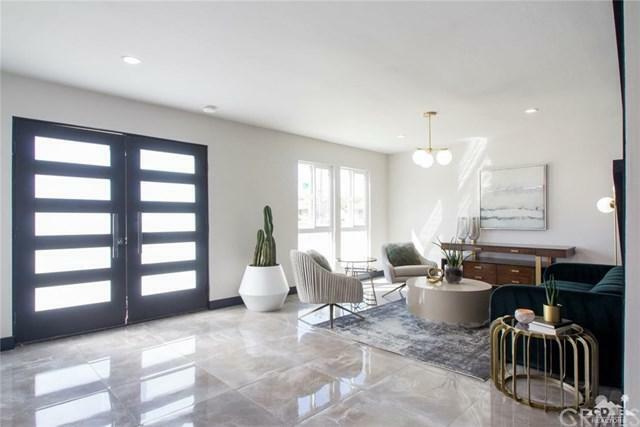 Modern lines, dark walls, sleek polished tile floors and chrome and brass fixtures fascinate. Kitchen serves poolside and inside with expanded quartz counter bars. West Elm lighting, Kohler fixtures and fittings, designer tile and metal edging. New stainless appliances. New windows and sliders. New HVAC. New water heater. New foam roof. New cabinets and quartz countertops. Completely renovated pool with new spa and tanning bubblers, new plaster, tile, equipment and LED lights. New landscaping, turf, irrigation and lighting. New garage door and opener. HGTV designed interior furnishings and art package available upon request.